I've presented this clinic several times including the 2011 and 2015 NMRA National Conventions. 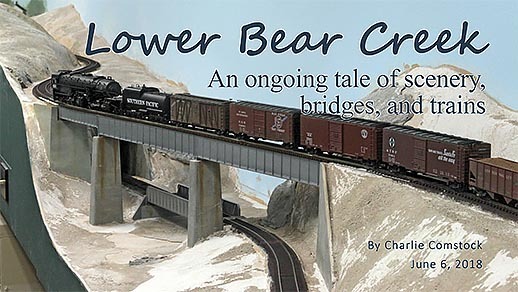 It presents hints and tips I consider basic to making realistic scenery and ends with some case studies of locations on my Bear Creek & South Jackson layout. I've presented this clinic several times including the 2011 and 2015 NMRA National Conventions. 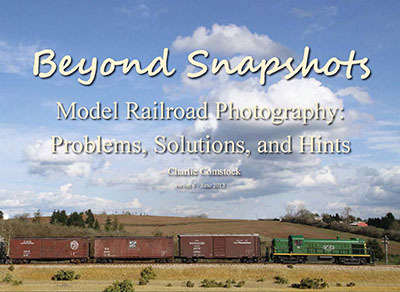 In it I present some common issues that cause sub-optimal photography, define different types of photography, and several creative ways to bring photos alive. 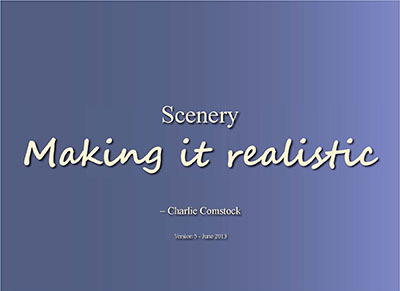 This page and photos copyright © 2015 by Charlie Comstock.